Novel physiotherapy approaches such as motor imagery and rhythmic auditory stimulation have been shown to improve walking in people with multiple sclerosis (MS). Rhythmic cued motor imagery was used in this study, whose objectives were to evaluate the feasibility of a larger randomised controlled trial (RCT) in people with MS and to obtain information on walking. Thirty adult people with MS who scored 1.5–4.5 on the Expanded Disability Status Scale were recruited at the MS Clinic Innsbruck, Austria. Participants were randomly allocated to one of three groups, all receiving usual care: 17 min of motor imagery, six times per week, for 4 weeks, with music (A) or metronome cues (B) and (C) controls. Primary outcomes were recruitment rates, retention, compliance, adverse events and fatigue (Modified Fatigue Impact Scale). Secondary outcomes were walking speed (Timed 25-Foot Walk) and walking distance (6-Minute Walk Test). We achieved our recruitment target by recruiting 12 participants per month, a mean eligibility rate of 40.1 % (95 % confidence interval (CI) 35.8, 44.6 %) out of 2500 MS Centre patients, mean consent rate of 15.9 % (95 % CI 11.3, 21.7 %) plus 54.5 % (95 % CI 47.4, 61.4 %) of eligible patients who expressed their interest to participate. Retention of 100 %, no adverse events, good compliance, high acceptability of the interventions and no worsening of fatigue confirmed feasibility. The mean improvement in walking speed in both groups A and B was −0.9 s (95 % CI −1.3, −0.5), and mean worsening in group C was 0.4 s (95 % CI −0.3, 1.1). The mean improvement in walking distance in group A was 68.1 m (95 % CI 51.4, 84.7) and in group B 92.9 m (95 % CI 55.2, 130.5), and mean worsening in group C was −9.4 m (95 % CI −35.6, 16.9). Results from our study showed that a full-scale RCT is feasible to investigate the effects of rhythmic cued motor imagery on walking in people with MS, with no changes to the interventions and assessments. 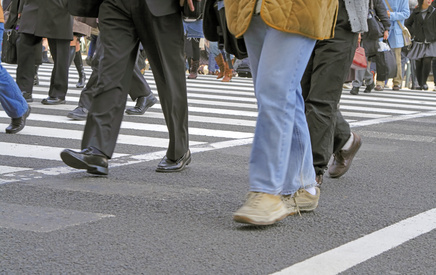 Based on the walking improvements, a total sample size of 138 participants was calculated. Stratified blocked randomisation, allocation concealment and blinding will be used in the main study.